A Mardi Gras party isn’t a proper Mardi Gras party without the proper menu. 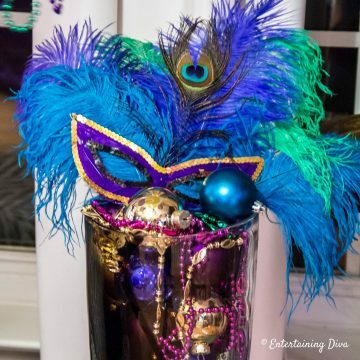 Serve these Mardi Gras party food and drink ideas along with some great Mardi Gras party decorations and let the celebration begin! 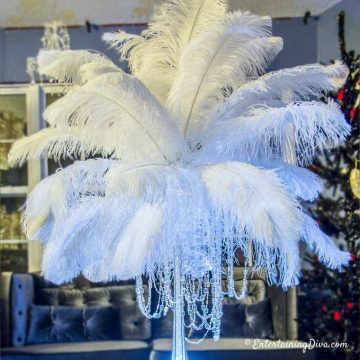 Since New Orleans is all about good food and great drinks, a Mardi Gras party wouldn’t be complete without at least a couple of traditional menu items. Which is why I went searching for some good Mardi Gras party food and drink ideas when I was hosting my Fat Tuesday celebration. 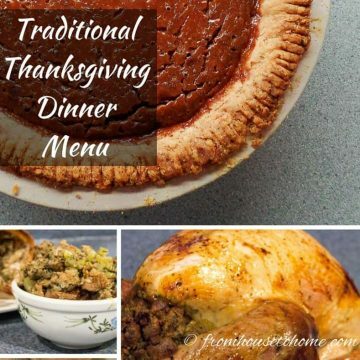 Most of these dishes are easy to make and a lot of them can be prepared ahead of time, so that makes them even better options for a party. New Orleans has some great food options that are immediately associated with that region of the country. 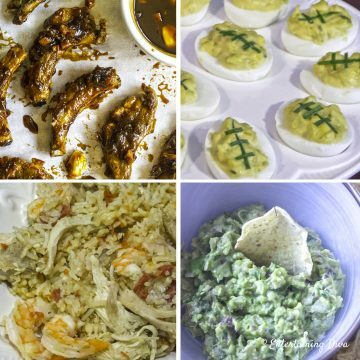 Which means there are lots of good Mardi Gras party food ideas to choose from. 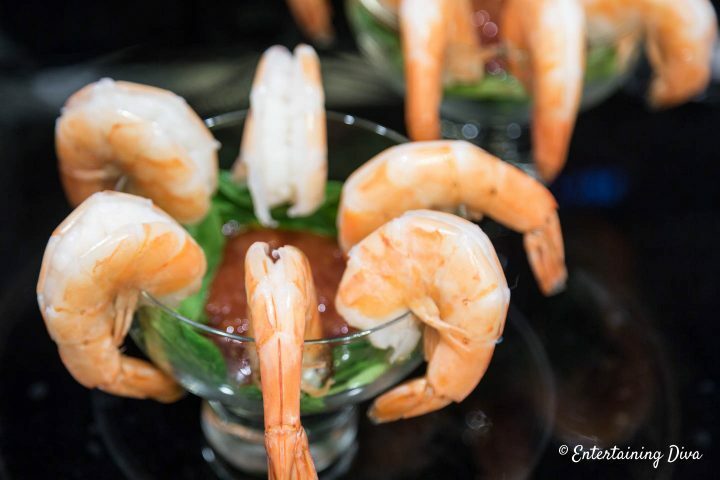 Shrimp Cocktail – Shrimp cocktail is a traditional dish that is easy to make and is popular in New Orleans. Buy a shrimp ring that comes with the sauce (just make sure to thaw it before the party) or make your own shrimp cocktail…either way is an easy Mardi Gras party food. Crab Cakes – Another Mardi Gras party appetizer favorite. I usually buy the Phillips Seafood mini crab cakes already made (from Costco) and just pop them in the oven. But if you have more time you can also make your own. Crawfish Boudin Balls – When it’s made with crawfish, you know it’s a true Louisiana favorite. 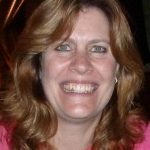 Beer Batter Hush Puppies – When I was in New Orleans, it seemed like Hush Puppies were served at the start of every meal…so it seems only natural to include them in our Mardi Gras party appetizer list. 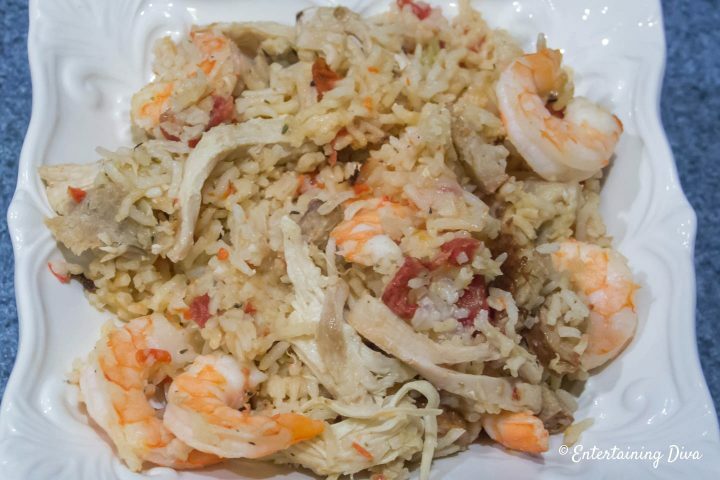 Jambalaya – Jambalaya is a mixture of shrimp, chicken and sausage with rice and some spices thrown in. It lasts for a long time in a crock pot so it’s a great party option! Crawfish Boil – A crawfish boil mixes … you guessed it … crawfish with corn, potatoes and spices to make a delicious (but messy) mixture. Seafood Gumbo – Another shrimp and sausage dish that tastes great! Shrimp and Grits – Grits are a Southern favorite but may take some getting used to if you weren’t raised eating them. 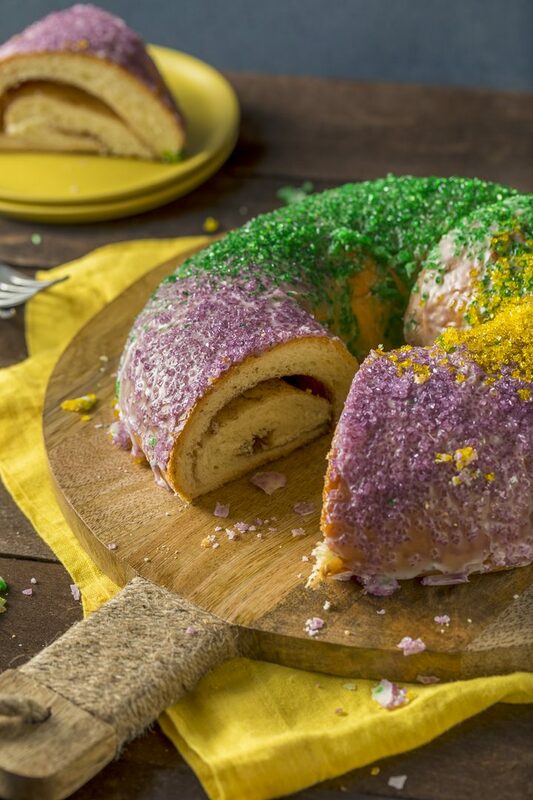 Mardi Gras King Cake – A traditional king cake is a little time consuming to make, but it wouldn’t be a Mardi Gras party without one! King Cake Dip – A non-traditional version of the original king cake, and very tasty! New Orleans has some signature drinks that are easy to make which means they are perfect for Mardi Gras party cocktails. 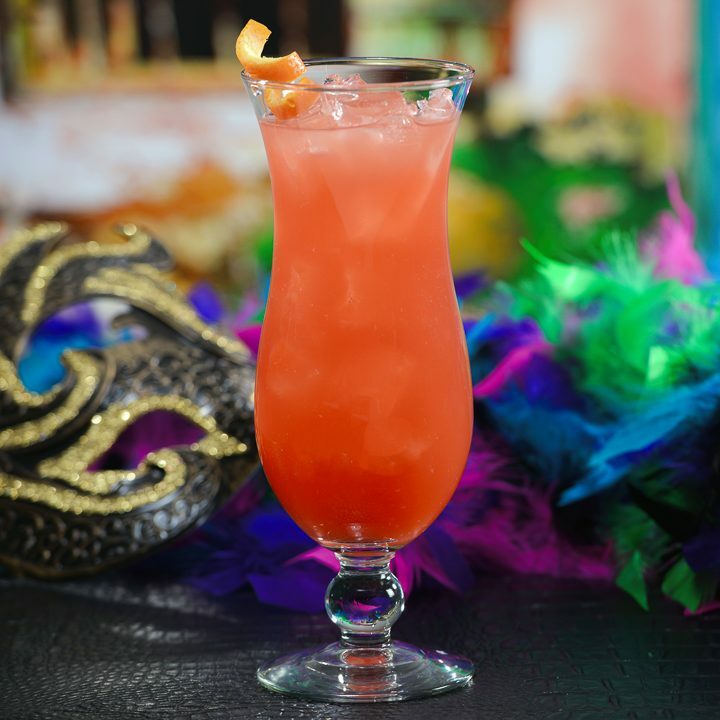 Hurricanes – Hurricanes seem to be served at every bar on Bourbon Street and make a great addition to your Mardi Gras party. Serve in a classic hurricane glass for more impact. Mint Julep – Don’t let the name “Mint Julep” fool you…this is not a “sissy” drink. The Sazerac – The Sazerac is a classic New Orleans drink. 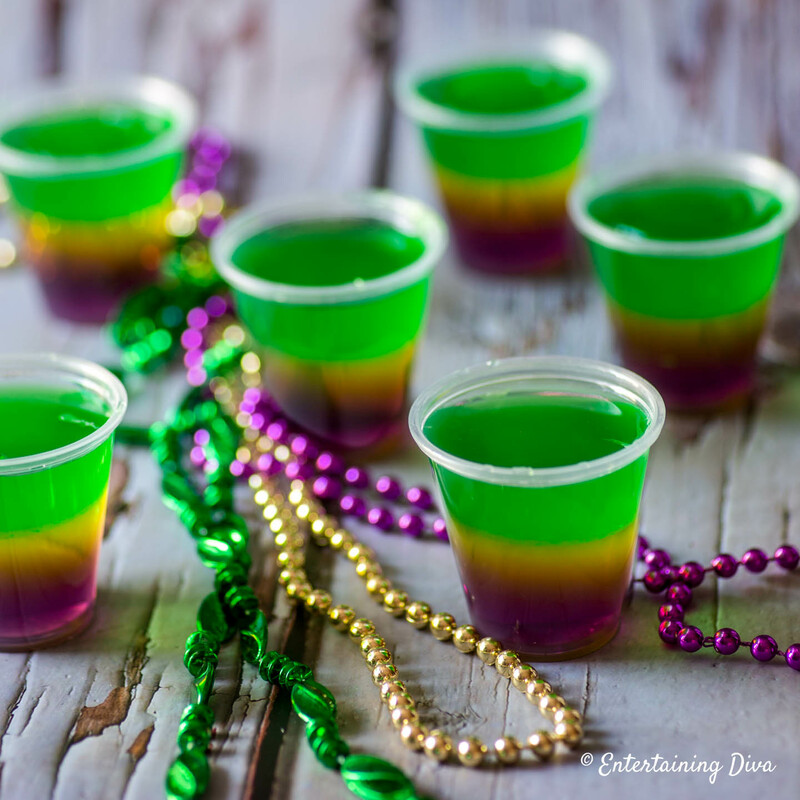 Mardi Gras Jello Shots – Of course, no party of mine would be complete without some jello shots. 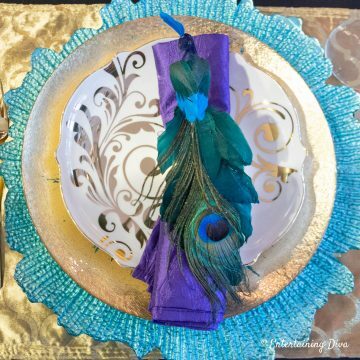 These layered purple, gold and green ones fit right in with the Mardi Gras decor! Do you have suggestions for other Mardi Gras party food and drink ideas? Tell us in the section below.